The Journeyman series gives staff the speed and on-site configurability they need to be more productive across multiple tasks, all day long. Engineered to easily adapt from job to job, the Journeyman series is ideal for maintenance, higher education, hospitality, construction, or any other space where safe, efficient transportation is both vital and a moving target. 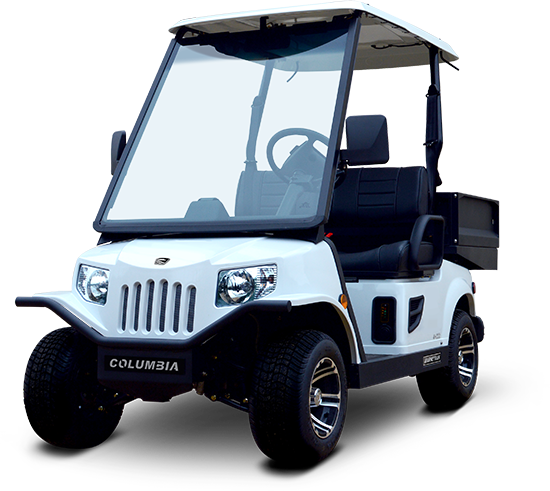 The Journeyman's street-legal LSV option makes it the perfect choice for operating on both private areas and public roadways. N/A 30 in. 28 in. N/A 31.5 in. Front: Double A-arm with independent coil springs over shock absorbers. Schedule a local demonstration using the form below or contact our team to learn more about the Journeyman. Range will vary depending on temperature, grade, payload and driving style. Rated capacity includes personnel, cargo, options and accessories.